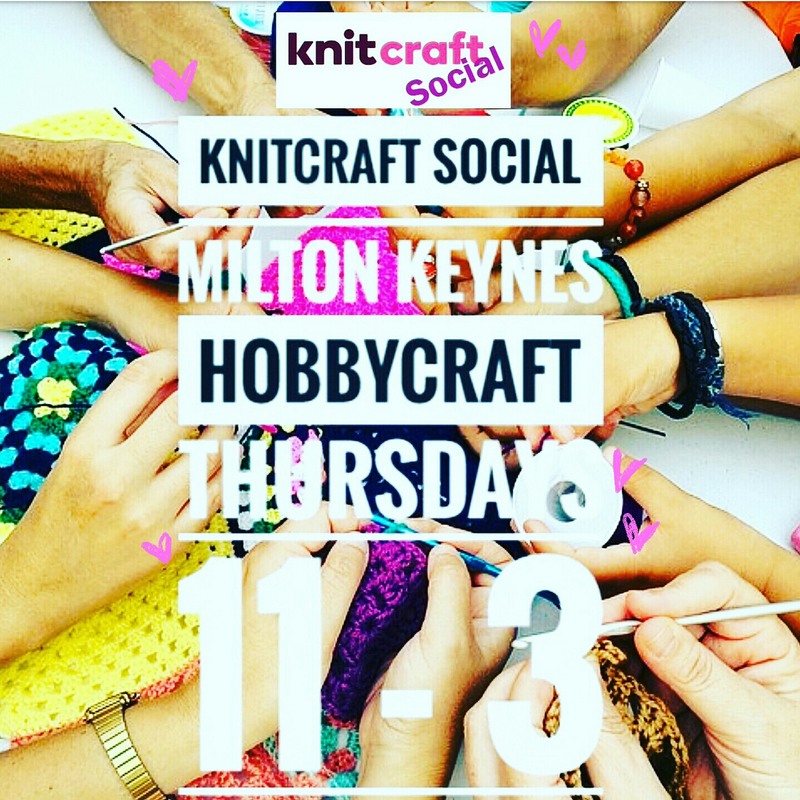 The very first Knitcraft Social EVER at Milton Keynes +Hobbycraft was AWESOME! Come along every Thursday 11am to 3pm and join in the fun! We did it! 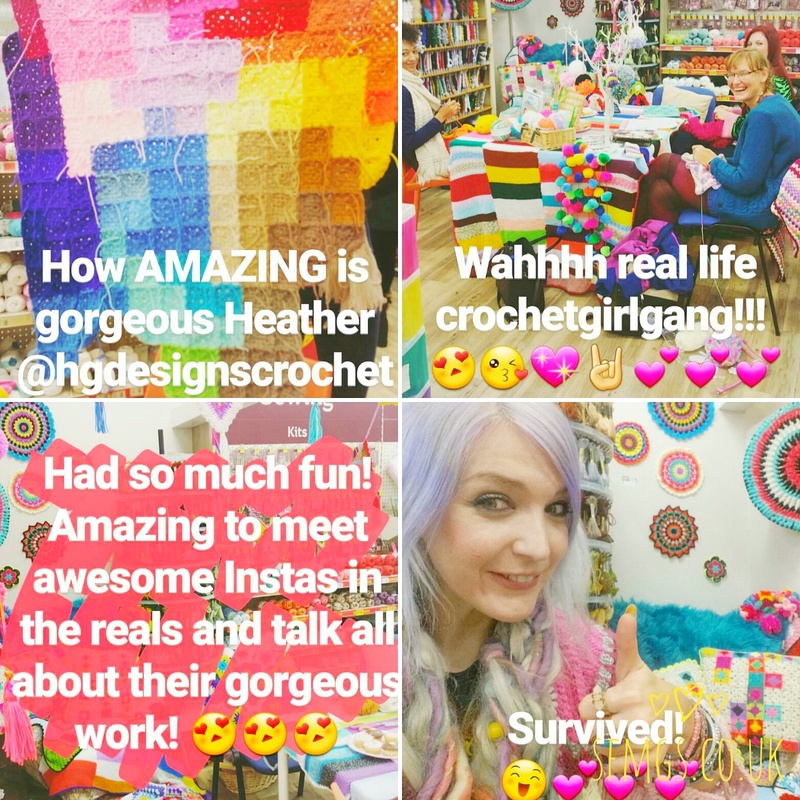 The very first EVER Knitcraft Social at +Hobbycraft took place last Thursday and we had so much fun!! 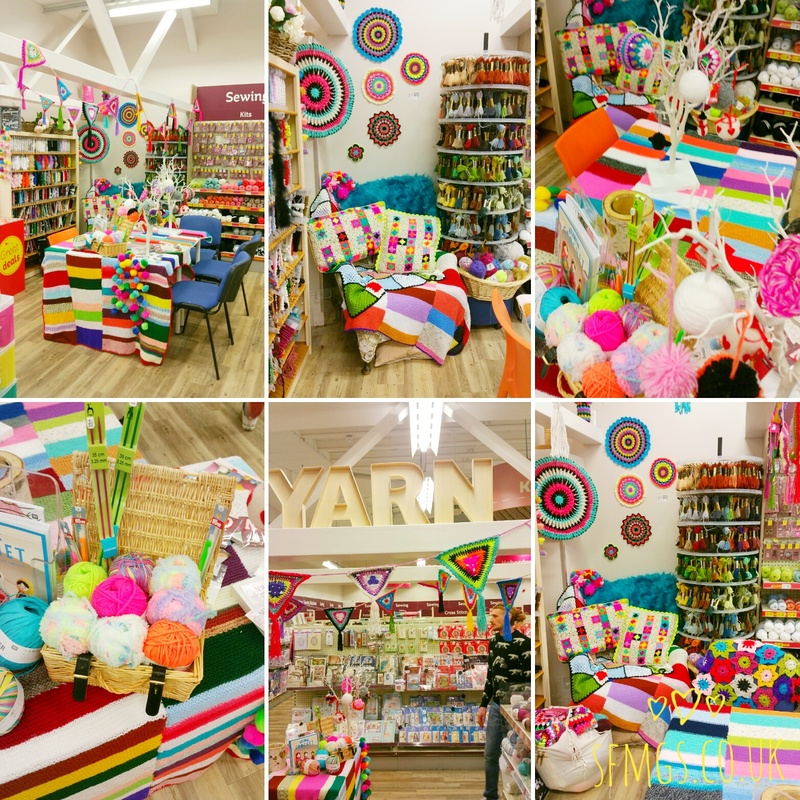 Every Thursday from 11am to 3pm come down to the Milton Keynes +Hobbycraft store with your current WIPS - either Crochet or Knitting, in fact any kind of Fibre Art and join in the fun. Hosted by .. eeek!... me.. every week, there will be cake and natter and a chance to spend some valuable time on your craft. You can find advice, learn new techniques, and discover new yarns all from your fellow crafters and myself. Last week before the big day, I took my glamourous assistant Mr B with me to decorate the space and it looks so fun now! 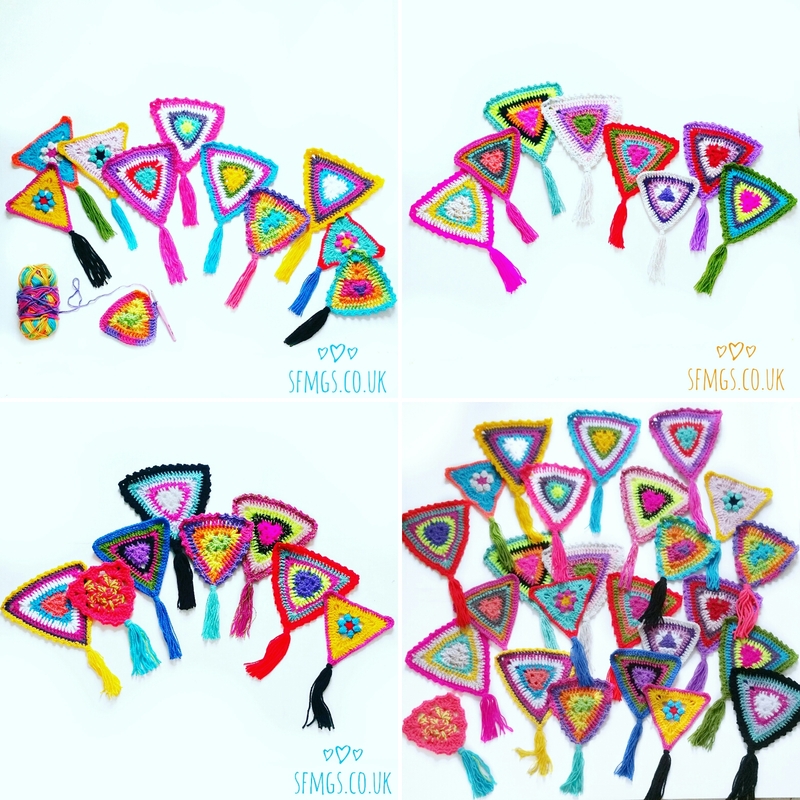 I made a special set of bunting to hang in the area for all the amazing Instagram crochet community that lived too far away to come or were unable to get there due to work. Each awesome Insta gave me a 5 colour colourway and I made each of them a flag to represent them there in spirit. Also, those gorgeous daisy centred flags you can see? They are made using the amazing Hedvig Triangle pattern by my dear friend Charlotte @c_flintholm. Get the free pattern by clicking here!! These beautiful flags are named after Charlotte's grandmother. Big love to the gorgeous @hgdesignscrochet, @pidgmaleon and @knitcrafthq's wonderful and super talented yarnmaster Emily for their support! Big love amazing ladies!! Check out my Insta stories @setfreemygypsys0ul every week to see the fun! I'd love to crochet with YOU! This week we are working on upcycling old Christmas Baubles like this! If you have any questions or want to more, contact me @setfreemygypsys0ul or email ... or contact the Milton Keynes store on twitter or direct!